Water’s important no matter the weather. 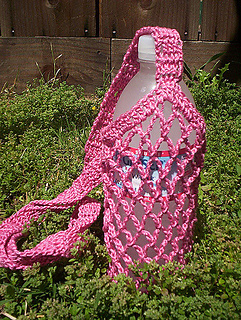 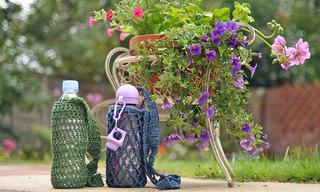 This water bottle holder keeps your H2O close by and your hands free. 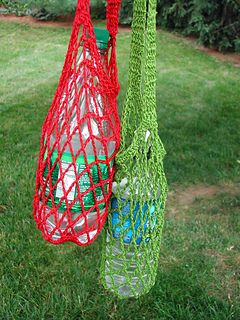 It’s a quick hook and uses just a ball of cotton yarn. 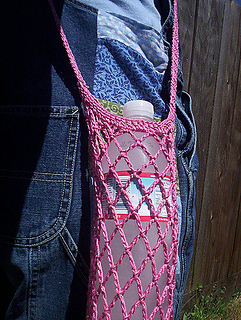 You can sport this over one shoulder or make the strap a little longer and wear it across your chest.